Balflare had a contract with "Fastball Music" to distribute the albums in Europe and the other areas in the world except Japan. 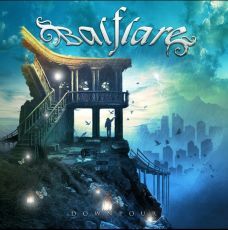 "Downpour" the 4th album of Balflare will be released in Europe in this May by "Fastball Music". 4th album "DOWNPOUR" will be released in september 28th. we can sing the song with the karaoke machine by joysound f1. "Sleeping Hollow" was in the national sales chart of August editon of Burrn! Magazine. "Sleeping Hollow"was reviwed on the MAY edition of "BURRN!". Songs list from "SLEEPING HOLLOW"
"SLEEPING HOLLOW", (TKCS-85193) the 3rd Album will be released on Apr,23rd in Japan and someday in the Worldwide. All the songs from the 2nd album"TEMPEST" are available from iTunes Store. Balflare just signed for one gig at Yotsuya. We will performe an opening act for Djzoes;, a metal band form Switzerland. You can get more information in "Live info" section. 2006 Sep issue "YOUNG GUITAR" covered the story about Balflare. "YOUNG GUITAR" is Japanese popular guitar magazine. If you want to check out the magazine, you can order it from EBAY. Hit the cover image, and you'll find the instruction. "TEMPEST" was reviwed on the September edition of "BURRN! ", the most famous magazine of heavy metal in Japan. The revewer of the magazine says that the drumming is like a machine drumming, but the band didn't use the machine drum. Anyway, the drummer playd the drums and his plays was recorded with Mac 'cause it is useful. "TEMPEST" was reviewd in two site, "STAY METAL" from Espan~a and "Laermbelaestigung" from Deutschland. Please check the sites and enjoy and stay metaaal! "TEMPEST" was reviwed on the September edition of "FOOL'S MATE" the famous japanese historial magazine of "Visual Kei". 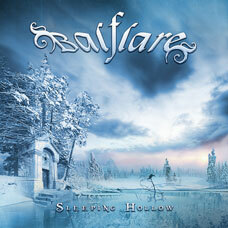 Balflare's second album "TEMPEST" was released from SoundHolic co.ltd on July 26, 2006. Go out or visit the web site of virtual CD shops and buy the CD now ! Listen the Songs with your Cell Phone! Some of the songs from Balflare's second album "TEMPEST" could have been downloaded from the site called "Itadaki", that means "I Got it !" in Japanese since July. "Itadaki" is a official web site of "au", the major company of cell phone in Japan. The official website of Balflare was renewed. Please continue your favors toward the official website of Balflare in the future.